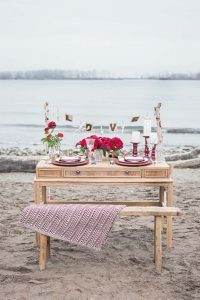 Back in December last year, I had the opportunity to team up with Sandy Tam Photography to put together a beachy theme style shoot for a feature in Modern Wedding Australia Magazine. 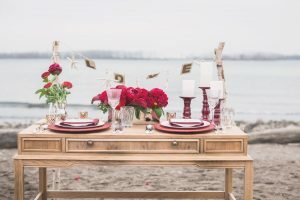 Even though we actually did it in the start of winter in Toronto, it was summer in Australia so we did what we had to, braved the cold, and set up a shoot at Cherry Beach to put this together. 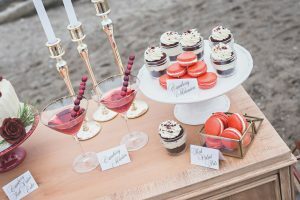 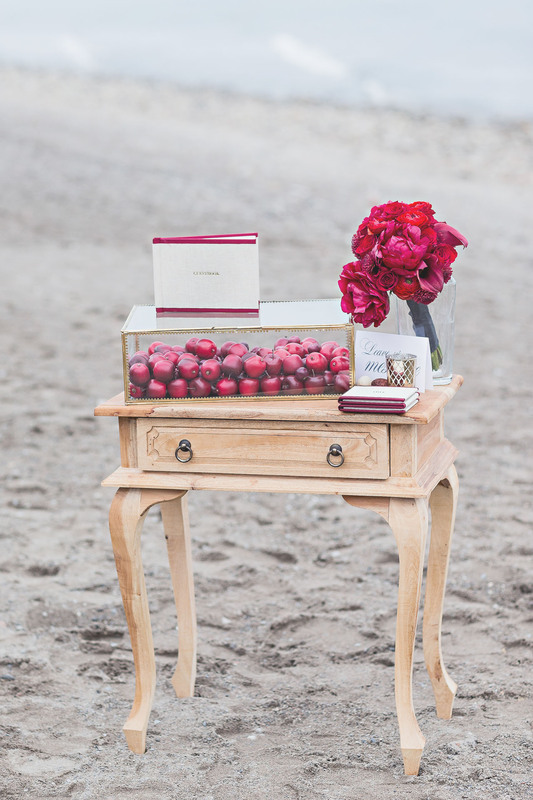 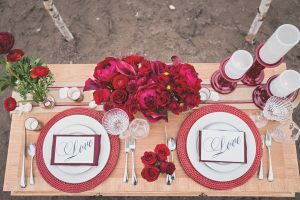 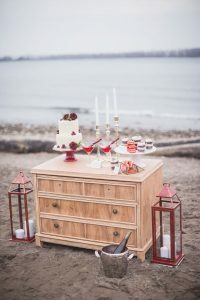 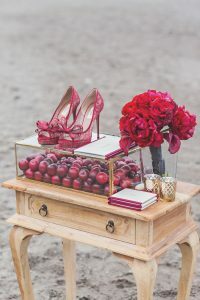 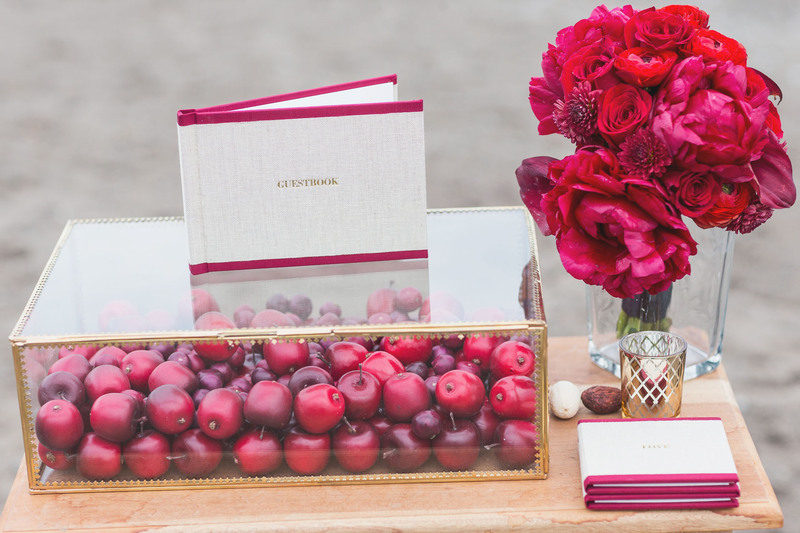 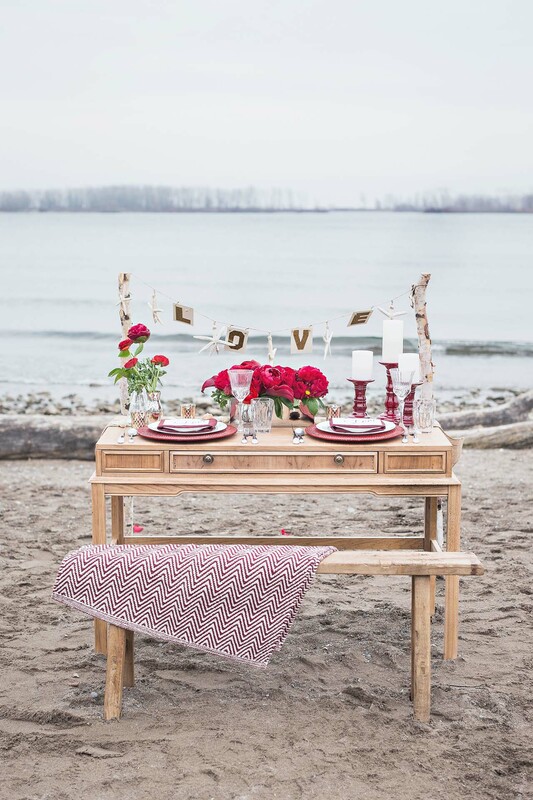 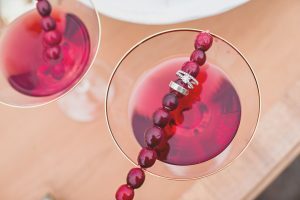 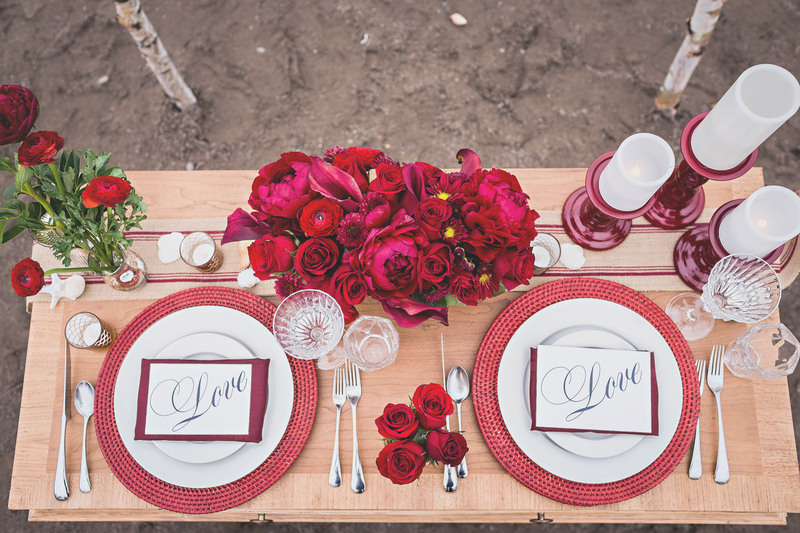 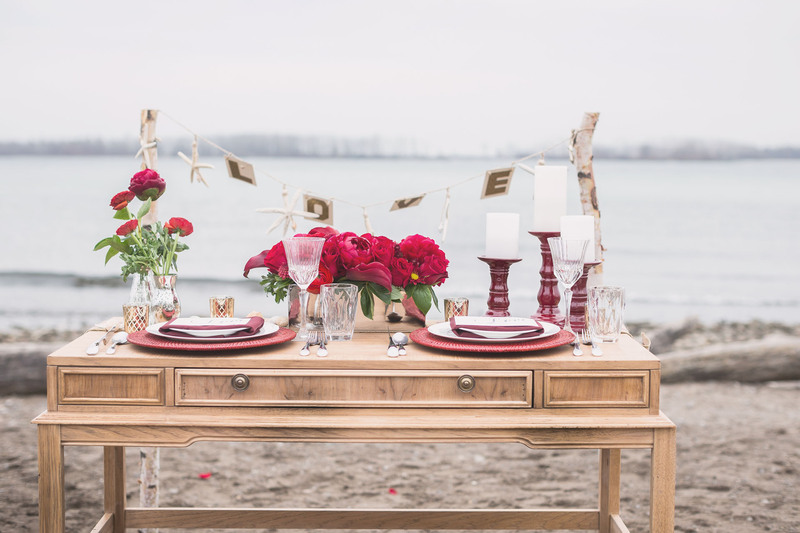 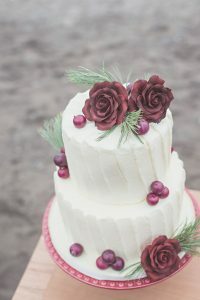 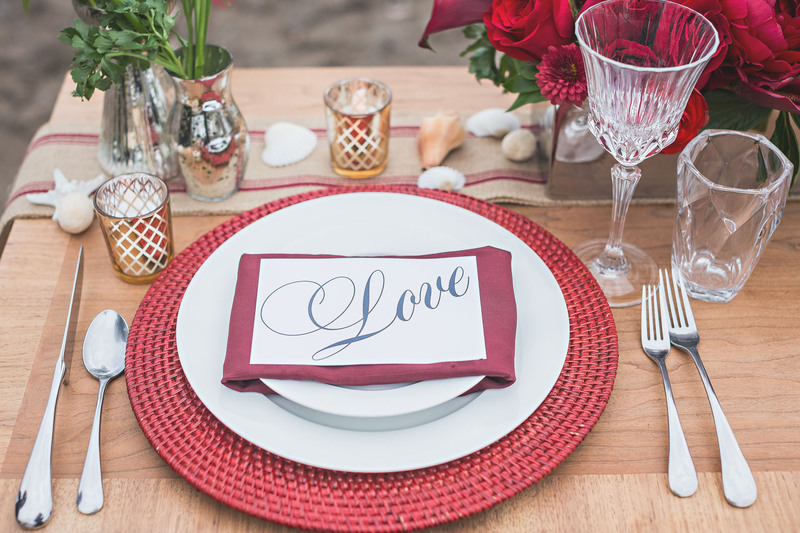 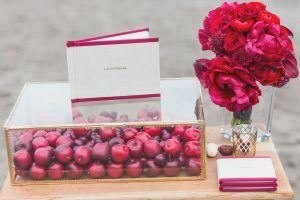 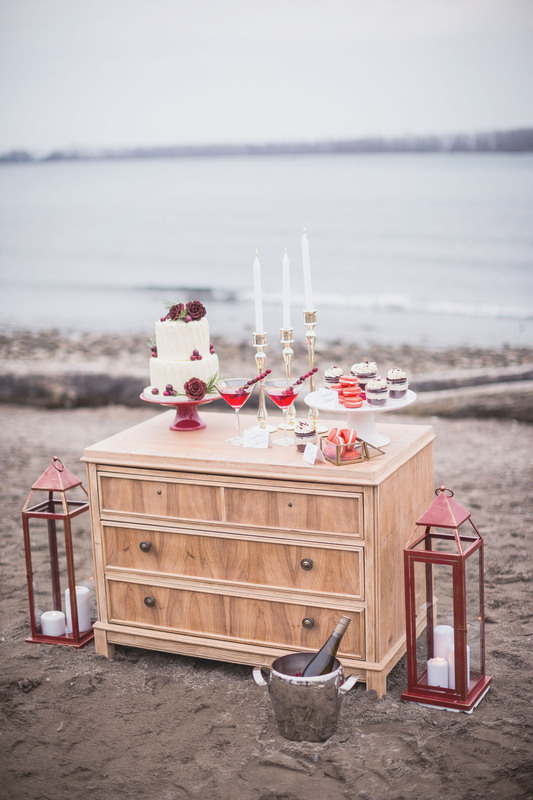 Focusing on red tones and earthy tones, an intimate cozy beach setting for two was set-up to inspire ideas for those getting married during the festive season. 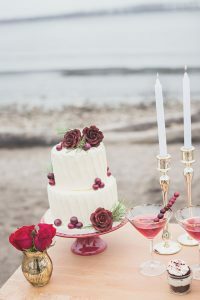 It was an honour to be published in print in Modern Wedding Australia Magazine! 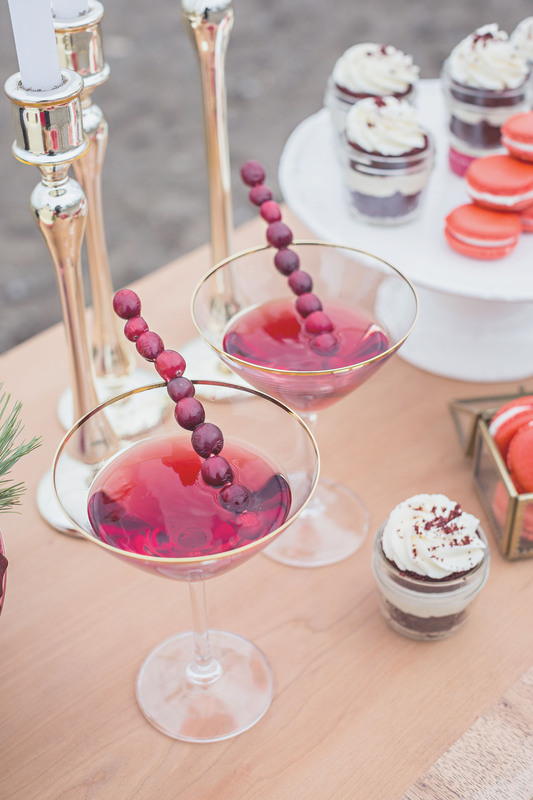 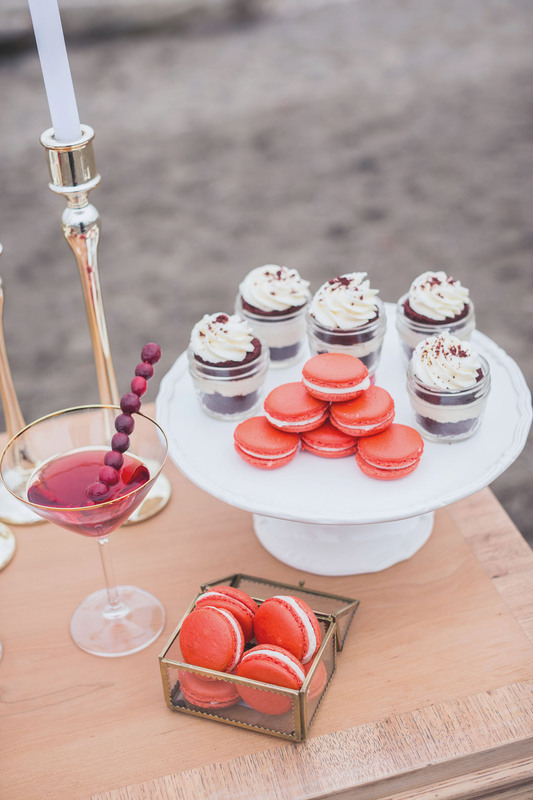 Here are highlights from this shoot from the talented Sandy Tam Photography, and thank you to Le Dolci for the delicious sweets!